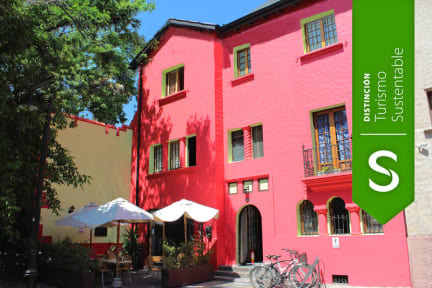 Aji Hostel i Santiago, Chile: Reservér nu! It was the best hostel I've ever been at and I have travelled for 5 months. Really nice and helpful staff, escpecially Christopher. The hostel is totally new, modern and clean. The coolest area with a lot of fancy restaurants. Would definetely recommend!